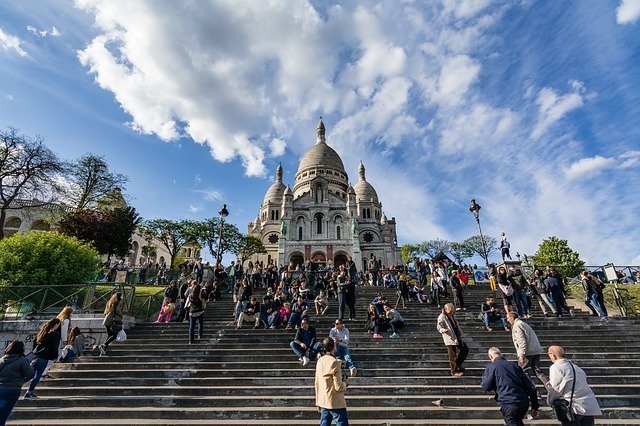 As a city that is the most visited in the world it should come as no surprise that Paris boasts some fantastic accommodation, much of which is perfectly suited towards families. 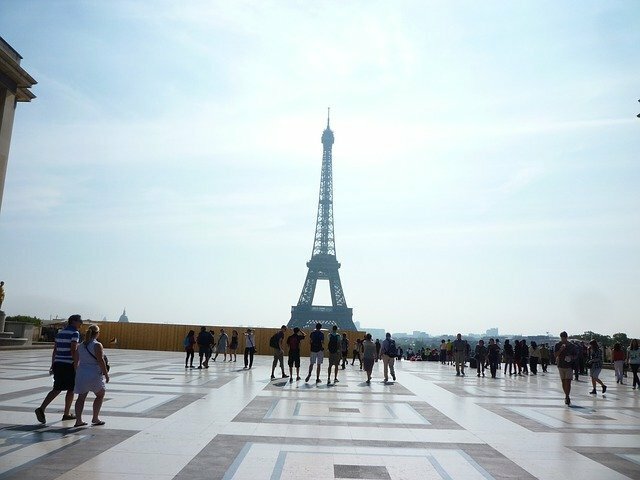 Paris is a relatively easy city to navigate on foot with kids, but to take full advantage of this I recommend staying in an area close to a key landmark, such as the Eiffel Tower, a museum or the Champs-Elysees, and using that as your base to explore this wonderful city. It is also a good idea to stay close to a subway stop. Here’s our list of the top 10 best Paris family hotels. Around the world Shangri-La Hotel’s impress visitors, and the Shangri-La in Paris is no exception. This hotel regularly features in lists of the best family hotels in Paris. Much like Paris itself, this hotel is elegant and charming. The rooms are equally exquisite, decorated in a way that reflects the period of the hotel. 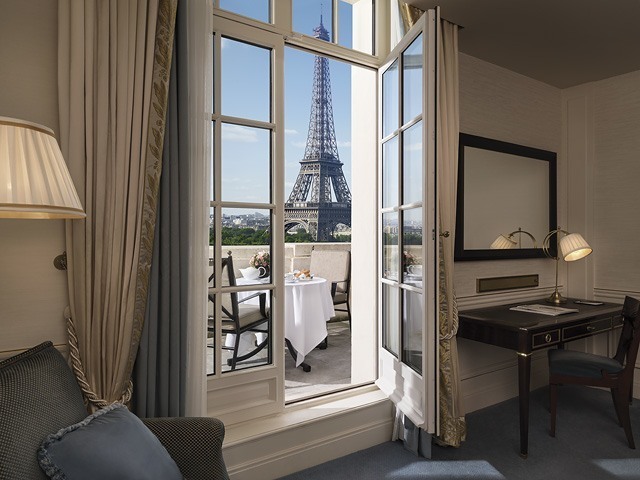 A Paris family hotel should be in an easy location, and The Shangri-La’s location is ideal as it is located just minutes from the top attractions in Paris with views from the Eiffel Tower from the hotel. The hotel has 3 restaurants and other eateries surrounding it. The Shangri-La also offers babysitting service for parents to have a night on their lonesome, and one child under 2 is able to stay free in a crib. For the perfect base to explore Paris and to truly have a memorable trip, the Shangri-La is my top pick. The Four Seasons are another well known hotel chain for luxury accommodation offerings, and this is a very family friendly hotel in Paris that is a contender for the best family hotel in Paris. The Four Seasons George V has some fantastic reviews and allows you to take advantage of all Paris has to offer being just a stone throw away from the Champs-Elysees and walking distance to the Grand Palais and Eiffel Tower. This hotel really aims to please children with activities to keep the kids happy, a great pool, family play areas, games, DVDs, events and more. A babysitting service is also available while you head to their wine cellar to taste some fantastic French wine. There are several dining options both on site and off. The hotel has no additional fees for children under 18 in the same room so you can take your pick of any of the fantastic rooms that the Four Seasons offers. A universal similarly of the Mandarin Oriental Hotel chain is their great service which never fails to lead to a great experience, and the Mandarin Oriental Hotel in Paris never fails with their service. The staff at this hotel are incredibly caring and attentive, ensuring your family has everything they need in another contender for the best Paris hotels for families. On arrival children are presented with their essentials (video games, toys etc.) Parents are also provided with anything they may need, such as bottle warmers (handy, but less fun). If you can imagine a triangle with the Mandarin Oriental hotel at the top, the Musee D’Orsay and Musee D’Louvre, two of the most visited museums in Paris, are positioned on the other points of the triangle, so it is a great hotel for exploring the cultural offerings in Paris. This hotel is more modern than other hotels and very comfortable, with the Royal Mandarin Suite being something really special. The Junior suite is also great for smaller families of 3. Baby sitting is available and restaurants are on site with the cake shop offering some delicious french pastries. There is also a spa and fully equipped gym. Yet another hotel that is great with kids is the Hotel Fouquet’s Barriere. Upon arrival at this hotel, kids are presented with their ‘passport’ which gives them access to treasure hunts, games and coloring activities. Younger children and their mothers can also relax with their babies with a workshop for 3 month old babies to 4 year old kids. The restaurants of the Hotel Fouquet are truly sublime with The restaurant Le Diane offering great Michelin 3 star rated meals, but at a lower cost than one would expect. In total the hotel offers 3 restaurants, 2 bars and a tea room. This family accommodation in Paris offers an excellent location for exploring, being positioned close to both the culinary options and shopping that the world famous Champs Elysee has to offer. There are also many top brand name shops around, and only a 5 minute walk to the Arc De Triumph. Rooms are contemporary and comfortable, even offering a free minibar and spa access. Children under 2 years also stay free of charge at this hotel when using a crib. The Novotel Paris Centre presents cheap family accommodation in Paris and is great for families that want all the perks of a great location but do not need all the luxury extras. Positioned just off the river Seine and, as its name suggests, positioned perfectly for touring the Eiffel tower, this hotel offers fantastic value for money. The hotel has a pool and two restaurants including a sushi bar, but these options aren’t really needed with the vast amount of eateries surrounding the area. Rooms for families are available with all room types (standard, superior and suites) allowing children under 16 to stay free. The rooms themselves are modern and clean. Kids also have access to video games, play areas and children’s menus and can have a free buffet breakfast with their parents. This Paris hotel for families offers everything you need – a great location, comfortable rooms and at a low cost. Another great Novotel Hotel in Paris is the Novotel Paris Gare de Lyon, located close to both Luxembourg Gardens and the historic Bastille. 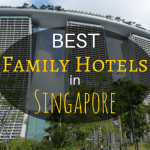 This hotel really strives to keep families happy with an indoor playground for kids, a video game area, a pool and various forms of entertainment (such as balloon animals at breakfast!). There is also a fitness centre for parents. Luxembourg Gardens is just around the corner which is a beautiful spot and great for the kids to let some of their energy loose. For dining, the Novel Cafe offers lunch and dinner, and there are also 2 bars at this hotel and many eateries are just a short walk from this family hotel in Paris. There are rooms suitable for families and you can also book a second room for half price so that your kids can have more space. This is both one of the best priced and best positioned hotels for families in Paris. 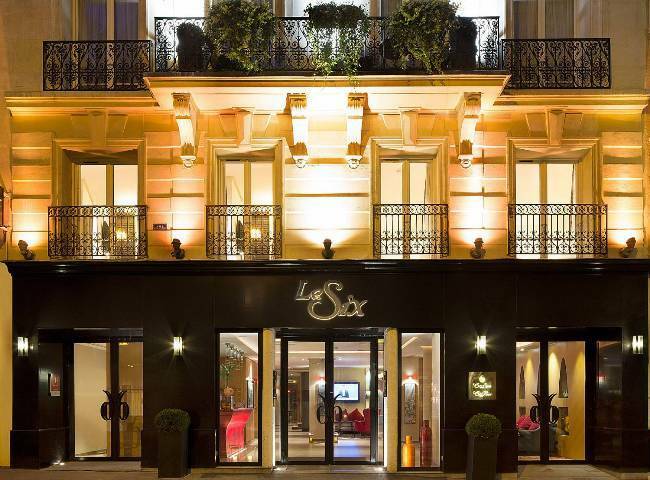 Another great location close to the Luxembourg Gardens is Hotel La Six. The hotel is just a 2 minute walk from Notre Dame, and a perfect hotel for travelling with kids in the centre of Paris. The reception staff of this hotel are incredibly attentive and accommodating. The hotel offers a wellness spa, with a traditional hammam, and a well equipped fitness area too. The metro station is a short walk so this hotel is suitable as your base to explore, a necessity for family hotels in Paris. Rooms are spotless and very well equipped with all necessities that your family will likely need. L’Occitaine toiletries are provided. You can select a room with a queen and a single bed making this a great option for families of 3. Baby cots are also available for children under 3 years old. Child care is available for your night out, and there is a great restaurant just opposite the hotel. 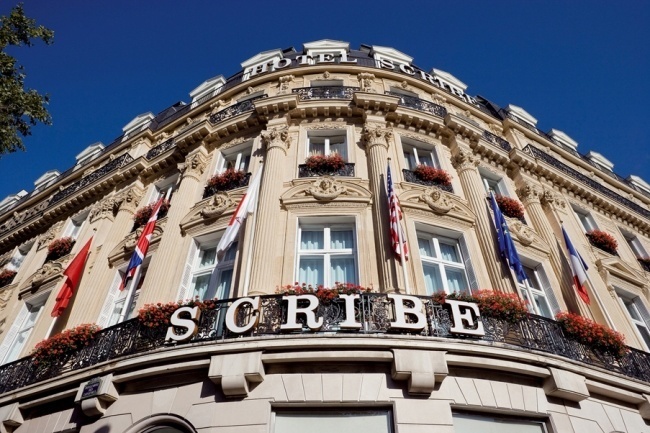 The Hotel Scribe Paris is managed by Sofitel which have some great hotels around the world, including this one. As I mentioned before, I think the location is very important as a base when looking for accommodation in Paris for families. The location of this hotel is ideal, being positioned within walking distance to shops, the Louvre, Notre Dame and the Eiffel Tower. The hotel itself really is a beautiful example of the 19th century Parisian architecture being beautifully crafted and with a great interior too, offering tastefully decorated rooms and suites (just check out the Prestige Suite here). This hotel offers some truly fantastic Paris family accommodation. The culinary options of this hotel include a glass roof top restaurant, cocktail bar and tea room. There is also a baby sitting service so that you can have a night out. To unwind, services of this hotel include a spa and fitness centre. This hotel is a great base to eat, drink and explore your way through Paris. Located only a 5 minute walk to the Galeries Lafayette department store and more great shopping, and 30 minutes walk to Champs Elysees this hotel is a fantastic option for both a cultural and shopping experience in Paris. Located in the 9th arr., this hotel also has some fantastic architecture surrounding it. . The hotel itself has 2 restaurants, a health club with sauna and massage, and some great rooms. 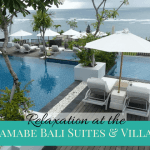 You can save money at this hotel and still enjoy a bit of luxury with a Prestige Suite being a great room in this hotel. A junior suite is also a good option for a family. Many rooms also have great views of the Opera house. This hotel caters for kids by offering a treasure hunt for children around the hotel which can be an awesome experience for the young ones. There is also a baby sitting service when you are ready to explore alone. One of the best hotels I have ever stayed in was a Pullman Hotel, and the Pullman Paris Montparnasse Hotel is another well priced, quality hotel. 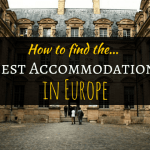 This hotel is a little further than some other hotels depending on what you are in Paris to see, but the amazing Latin Quarter and Luxembourg Gardens are still well within walking distance. However, being located close to Montparnasse train station, navigating your way to many of the top attractions is easy. The hotel is modern, comfortable and very kid friendly, with family rooms for up to 4 people, baby sitting service and connecting rooms for bigger families makes it a family friendly hotel for Paris. The fitness room is handy and there are 2 restaurants and a bar on site. If you are searching for best priced hotels in Paris for families, this this hotel is definitely a contender. Located just off the Just off the Champs Elysee. Suites are available for families of up to 4. More information here. Located in Tour Montparnasse, these apartments have 1 and 2 bedroom apartments for families of up to 5. More information here. This hotel is walking distance to the Louvre and local metro. For young families up to 4, there are rooms with two double beds. See the latest prices here. Offering suites for families of up to 4, this is the perfect hotel for families that need to be close to Charles de Gaulle Airport. More information here. Deluxe rooms for families for 4, this hotel is only 5 minutes from the vibrant Champs-Elysees. See the latest prices here. If you are looking for cheap accommodation in Paris for families why not consider an apartment? An apartment provides more space as well as facilities like a kitchen and washing machine for a much lower per night price than a hotel. We find that AirBnB apartments offer great value and has the widest collection of apartments on the web. If you do not have an AirBnB account, use this link to set one up we both get $25 off our next AirBnB stays. https://www.airbnb.com/rooms/1055261 – 1BR, 1 bed + sofa bed, small but great price. We stayed here for a month! https://www.airbnb.com/rooms/5972663 – 2 BR, 3 bed apartment in Bastille. https://www.airbnb.com/rooms/7045810 – 1 BR, 1 bed + sofa bed, in the heart of the trendy Montmarte district. Playpen supplied. 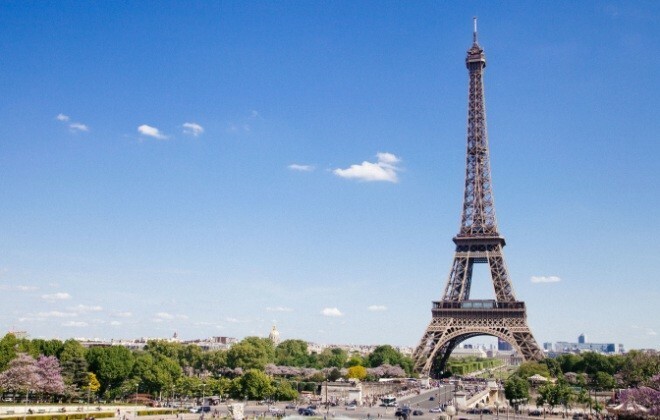 You can also read our full guide to Paris with kids! What is your favourite place to stay in Paris with kids? Disclaimer: This article contains affiliate links. If you make a booking after clicking on one of these links, we may receive a small commission at no extra cost to you. Thanks!! Our Guide to What to Do in Warsaw! Kid Heaven at Paultons Park's Peppa Pig World! 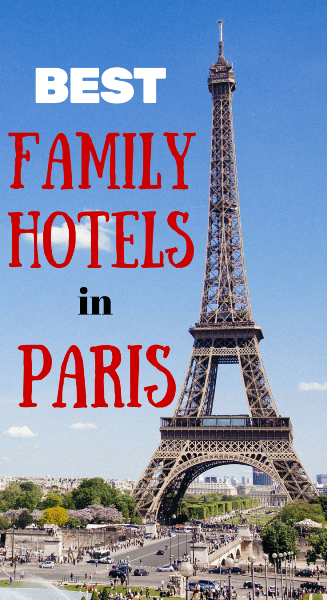 We recently stayed in Paris with the kids and had a hard time finding a hotel room with two double beds to accommodate my three kids in one room. We ended up staying in a family apartment in Hotel Élysées Union. The location was wonderful but the hotel wasn’t the greatest. I’m going to check out your list of hotels for next time. Ohhh, these look nice! When I was last in Paris it was part of a tour and we stayed in the back end of nowhere in a pretty dingy neighbourhood. I found the underground pretty straightforward once I’d figured out how to buy a ticket!